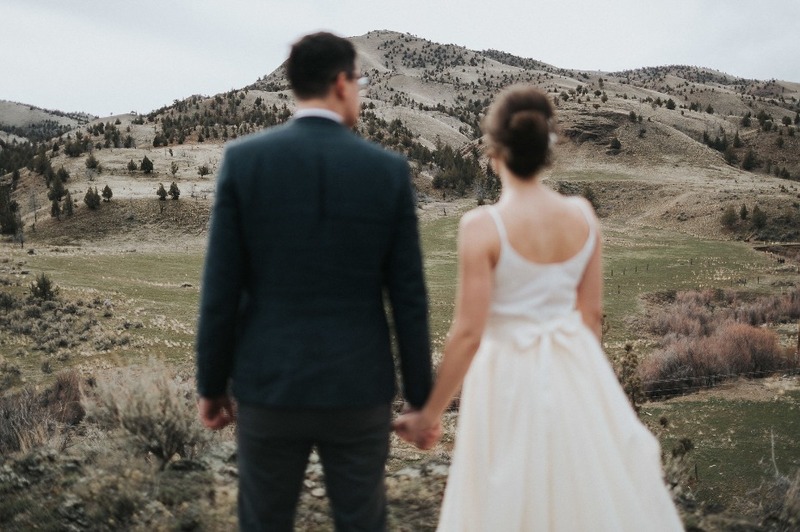 Have You Ever Wanted To Know How To Plan A Surprise Vow Renewal? 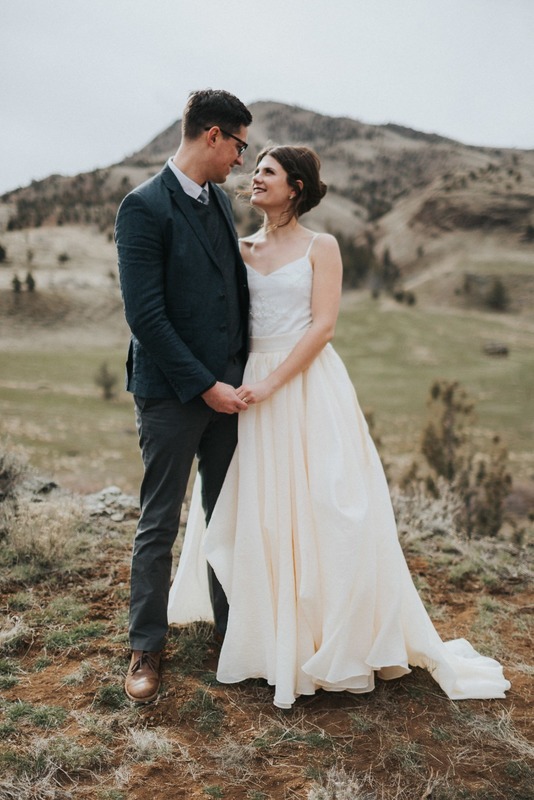 Conner and Faith have been married for 3 years and this devoted husband loves surprising his beautiful wife. 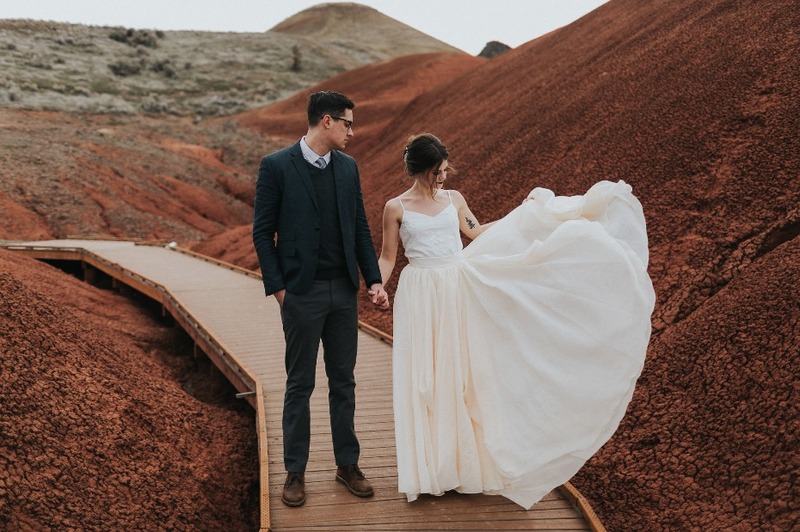 After catching wind that she had been dreaming of having a vow renewal he quietly planned a renewal with the two of them in the gorgeous Painted Hills of Oregon. The end result was spectacular, so be sure to keep scrolling! 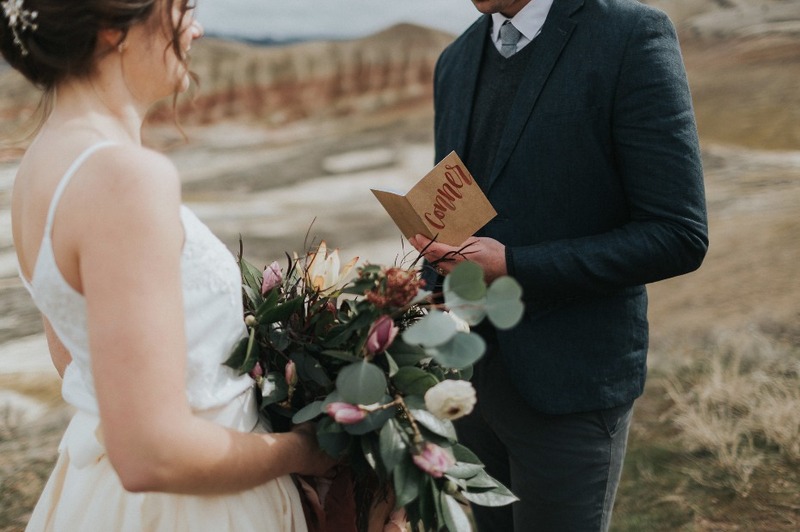 With some logistics planning help from the couples friend and makeup artist Kaelin McDowell Makeup and the stunning photography brought to you by Gallivan Photo you really wont want to miss any part of this wedding vow renewal, Check every last detail out in the full gallery here. 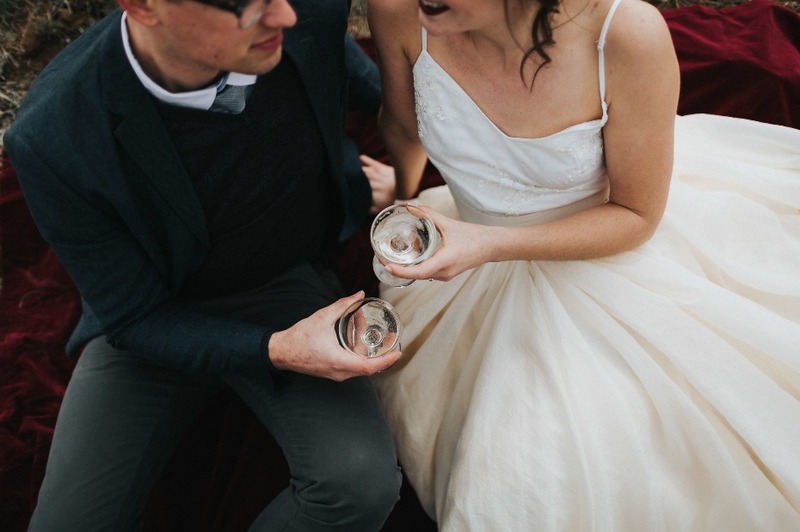 From Gallivan Photo: Faith and Connor were first married 3 years ago in a small backyard ceremony. 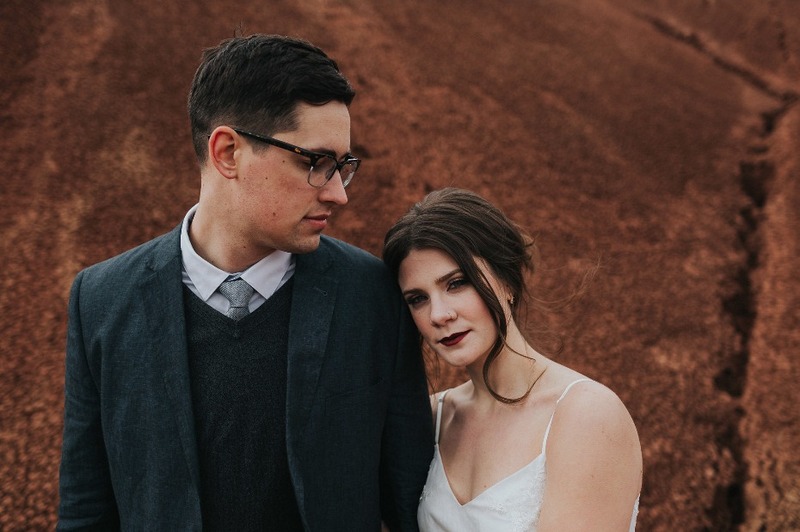 Connor's decision to plan the vow renewal was spurred on by friend and makeup artist Kaelin McDowell. Together they planned the perfect surprise for Faith who believed they were participating in a styled photoshoot. 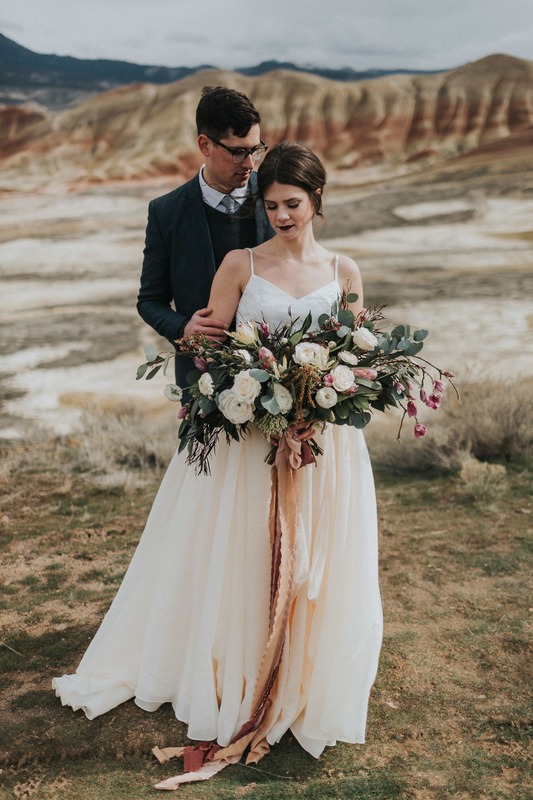 The day prior, Faith tried on the dress we had sent for her from Liberty and Lace, turned to Kaelin and wished aloud for a vow renewal. It made the surprise that much more fun. 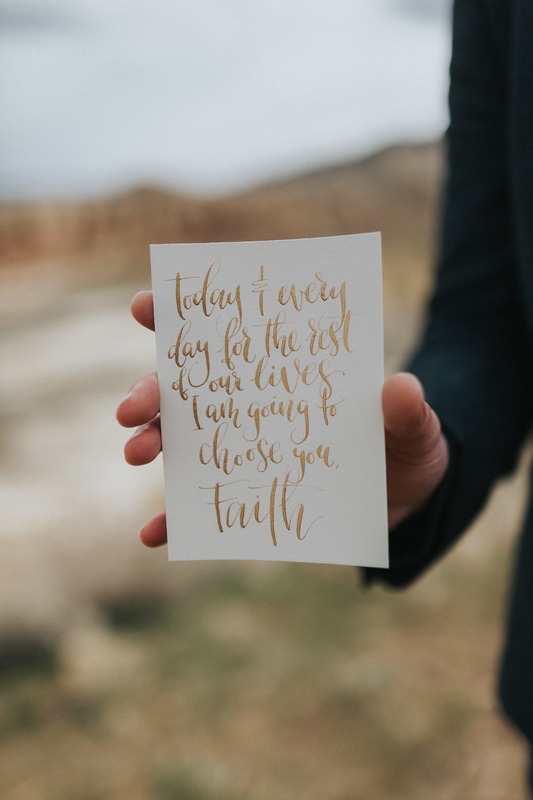 We had one bump in the road, however, Connor couldn't find Faith's vows without ruining the surprise, so the plan was for Connor to read his vows to Faith, and let her respond if she wanted to. 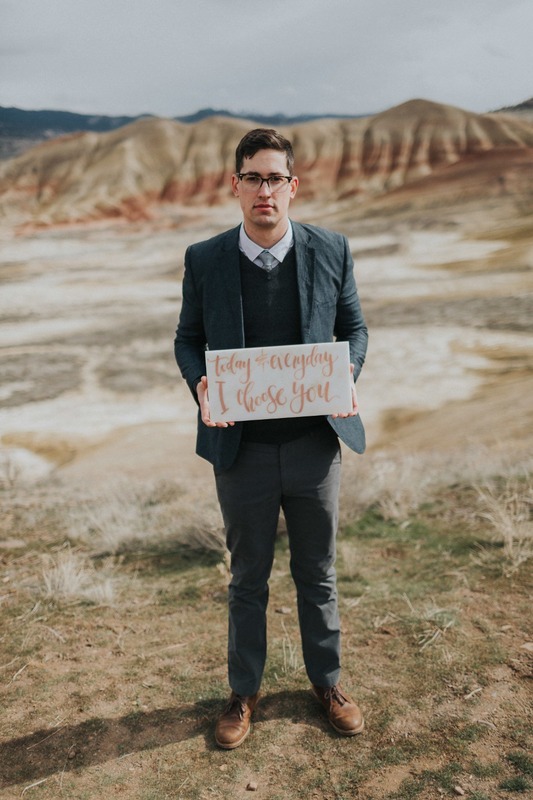 In the end, just before the vow renewal was going to take place, Connor found Faith's vows in his jacket pocket. They had been there since their wedding day 3 years earlier. Everything went perfectly. 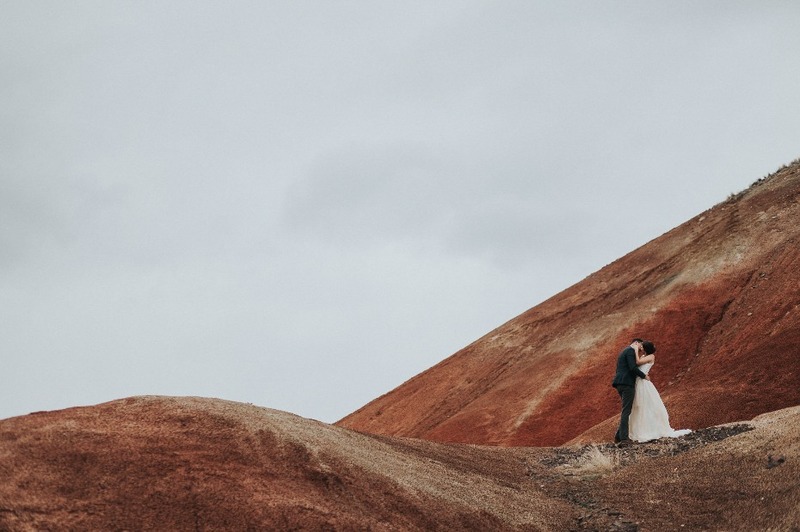 The Painted Hills are isolated, colorful, and give the feeling of being in a prehistoric era. 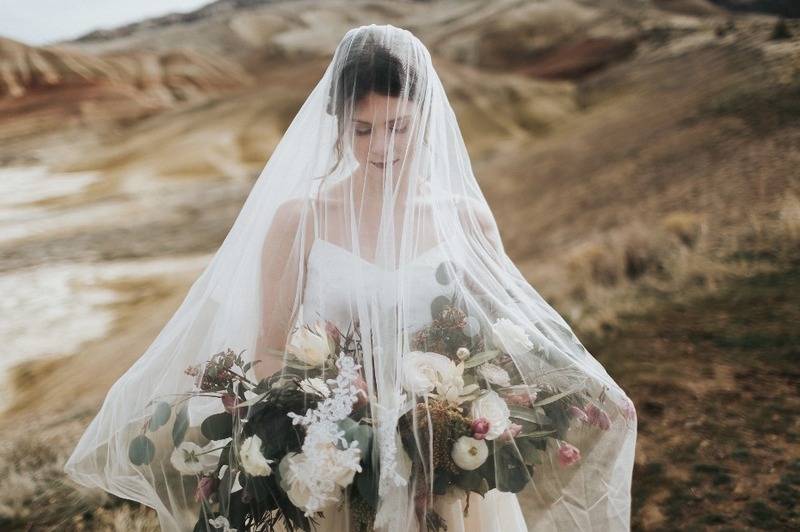 We chose a soft palette for this shoot to compliment the stronger colors in the hills. 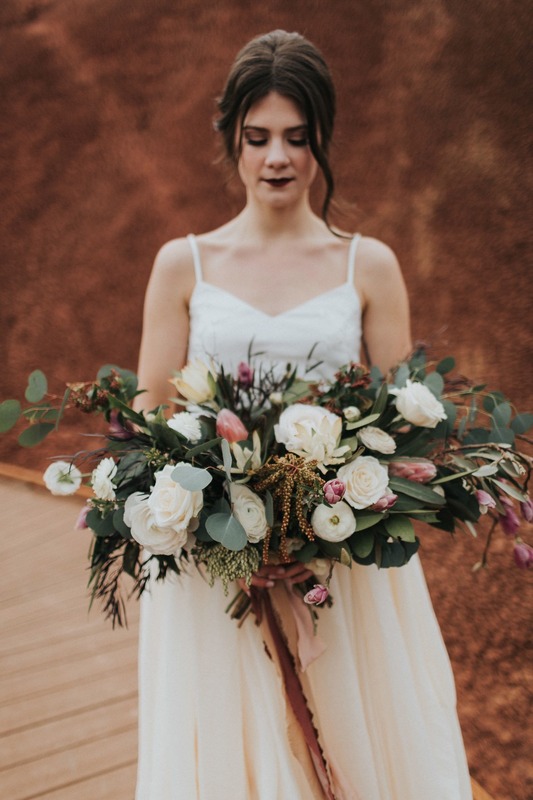 Lindsay Helzer made this most beautiful bouquet with soft purples and shades of white. 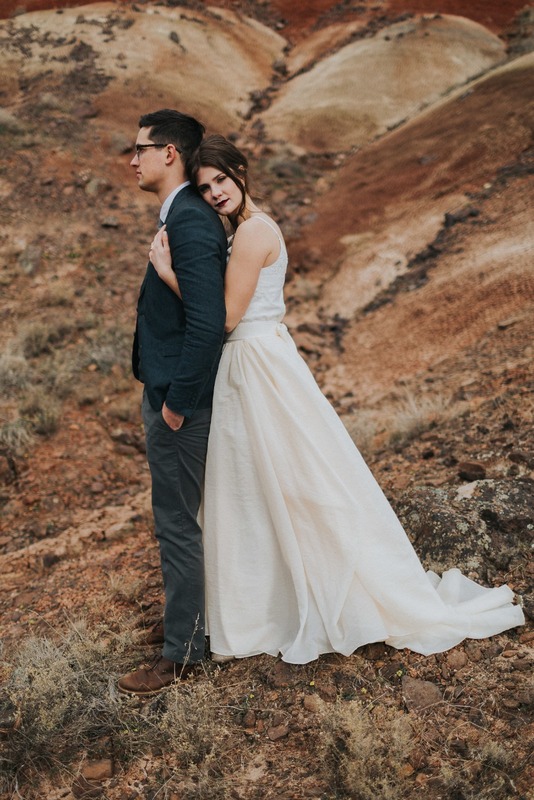 Kaelin's Makeup and hair was soft and natural, with a dramatic lip color that completely stole the show. We told them not to kiss until the very end of the shoot, and the best part was seeing Connor's face covered in deep red lipstick. Unfortunately, we don't have a photo of it! 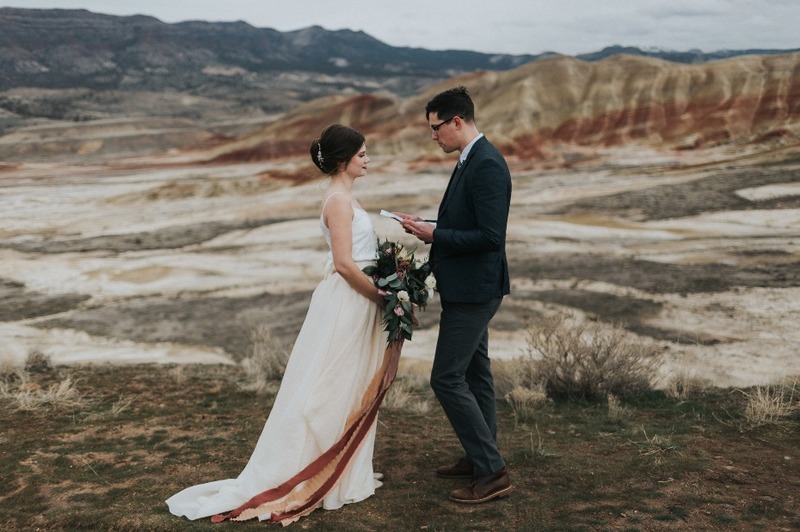 ;-) Connor and Faith's vows are beautiful, and we're so glad they could renew them together in such a beautiful location. It turned out to be way colder than I planned, so I would definitely say to plan for all weather types! I wish I had bought a fur jacket or something that would have kept me toasty and looking classy. 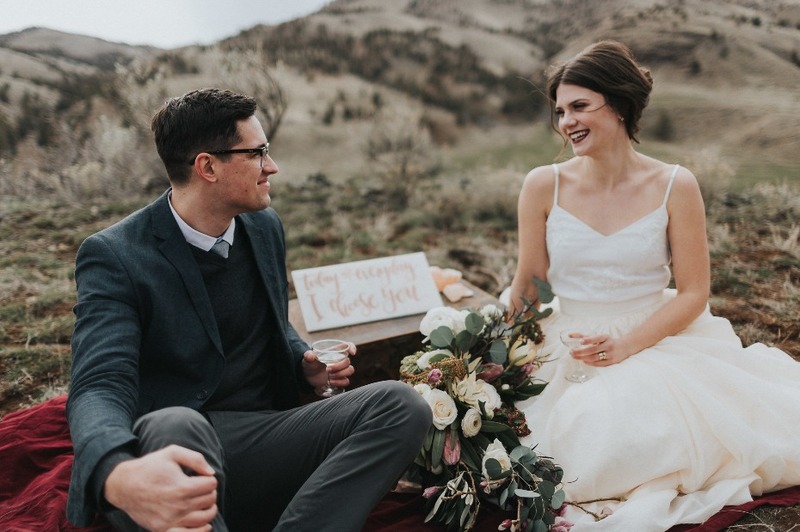 Curious to know what a vow renewal like Faith and Conners would cost? Just click here to find the full breakdown!